For FHE the week of Halloween I decided to carve pumpkins with the kids. Jason was at class so we did it by ourselves. I let the kids pull all of the seeds out of the pumpkin and they thought it was pretty funny. 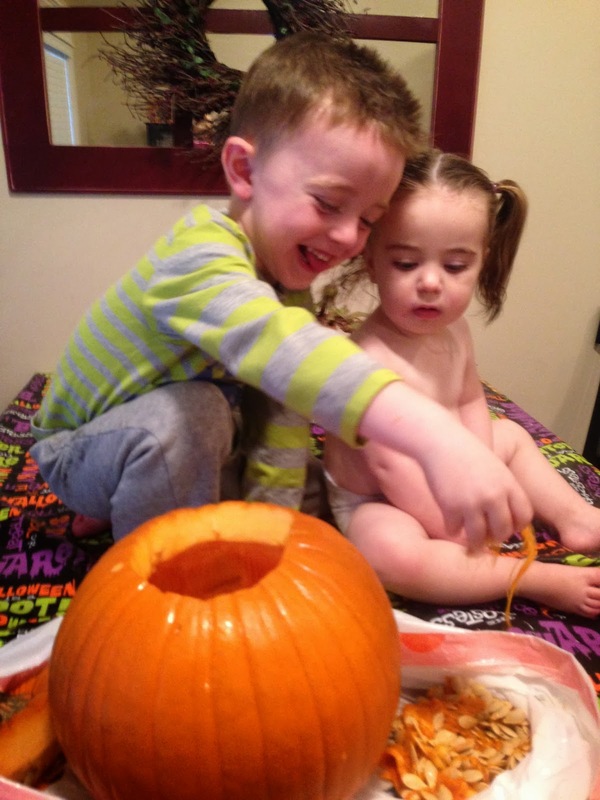 Brooklyn was pretty fascinated by the whole process and Carson kept wanting to cut the pumpkin himself. By the time we got one carved I decided that one was enough! We turned off the lights and lit the candle and it was fun to see their reaction. We set it on our porch and Carson made sure we lit it every night that week. It was really a lot of fun to do with the kids. I think it will get more and more fun as the years go on.